Two sailors dressed in costumes for a ventriloquist act probably performed as part of a ship's concert party. Undated. 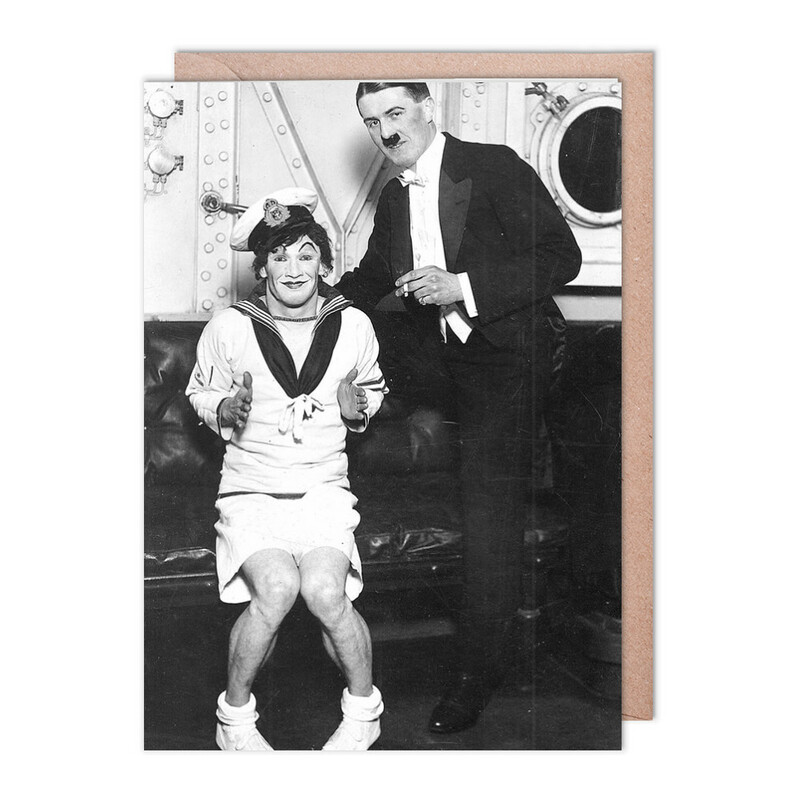 This A Ventriloquist Act Greeting Card (x2) is created using state of the art, industry leading Digital printers. The result - a stunning reproduction at an affordable price.